Founded in 1983, Nabholz Properties was started by acquiring the real estate assets of Con-Ark Builders,a division of Nabholz Construction Corporation. Originally named Con-Ark Land Development, the name was changed to its current form in 1985. 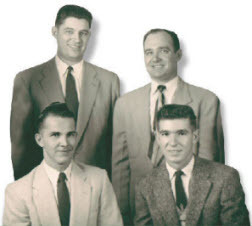 Our firm’s ownership remains with the families of the Nabholz brothers – Bob, Charles, Edmund and Tom – who were also partners in Nabholz Construction Corporation. Since our formation, we’ve specialized in the development of commercial property. NPI owns, leases and manages commercial properties throughout Central Arkansas. In addition, our company specializes in placemaking economic development services across the state.